Smiles on the Upper Westside provides dental implants in NYC. 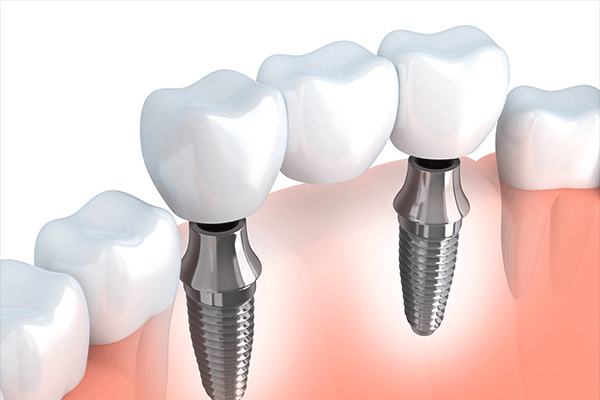 Due to their strength, durability, and stability, dental implants have become the treatment of choice for missing or failing teeth. They restore nearly all of your bite strength, and they reverse jawbone loss by replacing the tooth roots. While some dentists require you to visit a separate oral surgeon to have your dental implants placed, we have our own specialist – Dr. Narain on staff that will place your implant. Dr. Narain and Drs. Massiah and Smolen carefully collaborate with each other to ensure the best possible care at every stage of your dental implant process. 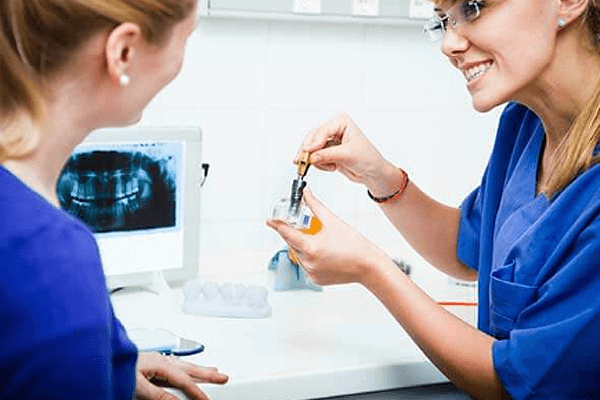 Although no dental procedure is right for everyone, most people can receive dental implants. We will treat any existing oral health issues before we begin, and those with underlying health conditions need to work with their doctor to get those conditions under tight control. If you have extensive jawbone loss, you may also need bone grafting before your implants are placed. 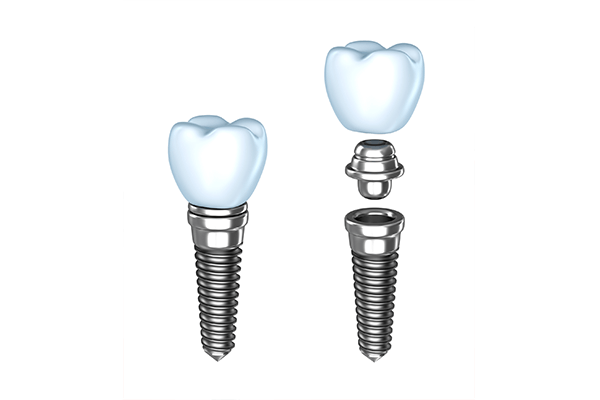 One dental implant topped with a single crown is the right choice for someone missing just one tooth. We can also place single tooth dental implants at various points in the mouth if you are missing multiple scattered teeth. A tiny sliver of biocompatible titanium is inserted into the jawbone and topped with a healing cap or a cover screw. After several weeks of healing, it will fuse with the bone. 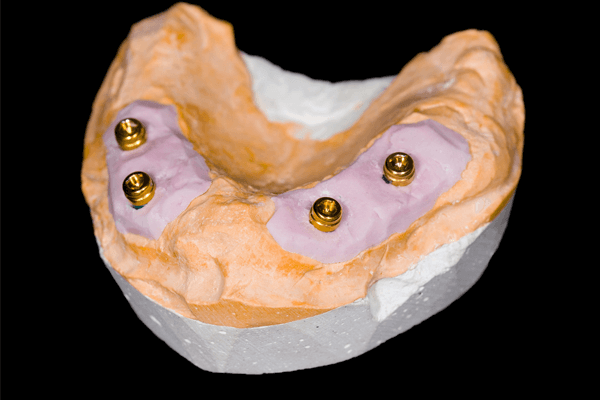 At this point, we will remove the cap or screw and use an abutment to attach the implant to a customized crown. 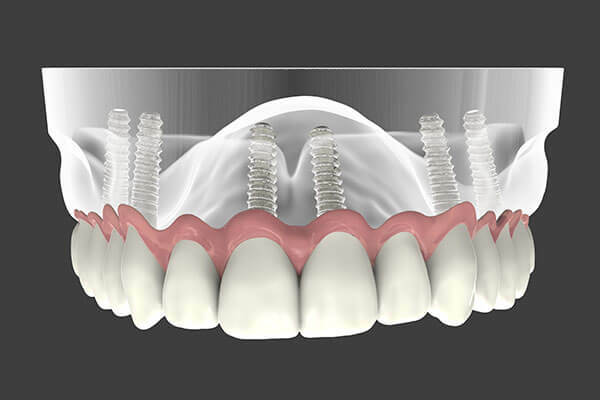 An implant supported bridge is an excellent solution for those who are missing three or more teeth in a row. While a traditional bridge sacrifices healthy tooth structure in the adjacent natural teeth, an implant supported bridge is anchored to a dental implant at each end. This strong and stable restoration is both functional and highly aesthetic. Implant supported dentures run the gamut from “snap-on” removable dentures that require just two implants to stabilize, to a full fixed arch of teeth secured on a handful of implants. Both solutions solve the problem of traditional dentures, which tend to pinch and slip. They also restore bite strength and reverse jawbone loss. The full arch with four implants is a game-changing solution for those who are missing all of the teeth on the upper or lower arch. We can place a full, fixed arch of high quality replacement teeth on the same day as your teeth are extracted, avoiding the need to wear a removable denture at any time. We use high tech tools such as 3-D scanning and virtual treatment planning to develop a customized implant placement map for each patient. This helps us show you exactly what to expect, while ensuring that each implant is located and positioned in the best possible way to maximize longevity, functionality, and aesthetics.